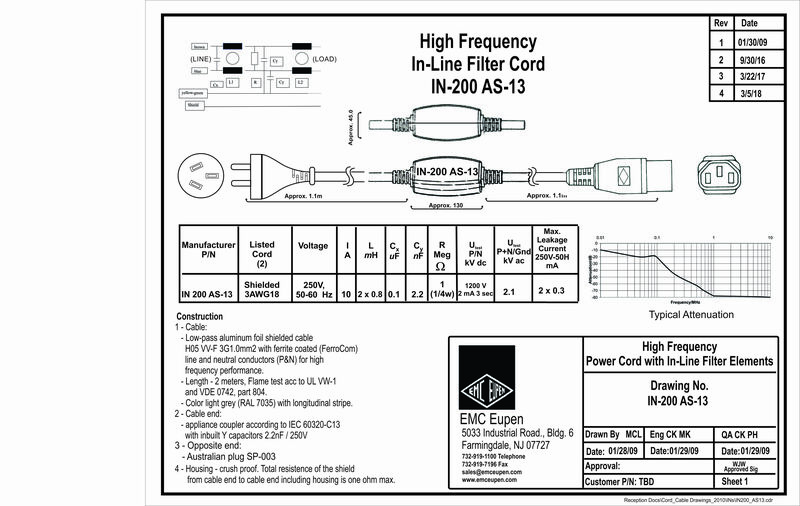 EMC Eupen has developed a Universal Filtered Power Cord for use in many countries throughout the world. 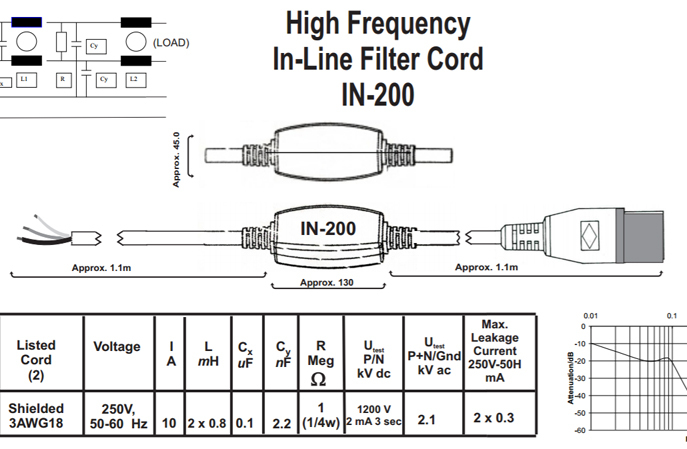 This unit has even greater filtering characteristics than our standard cord set. We call our design “The Mouse in the Snake”. 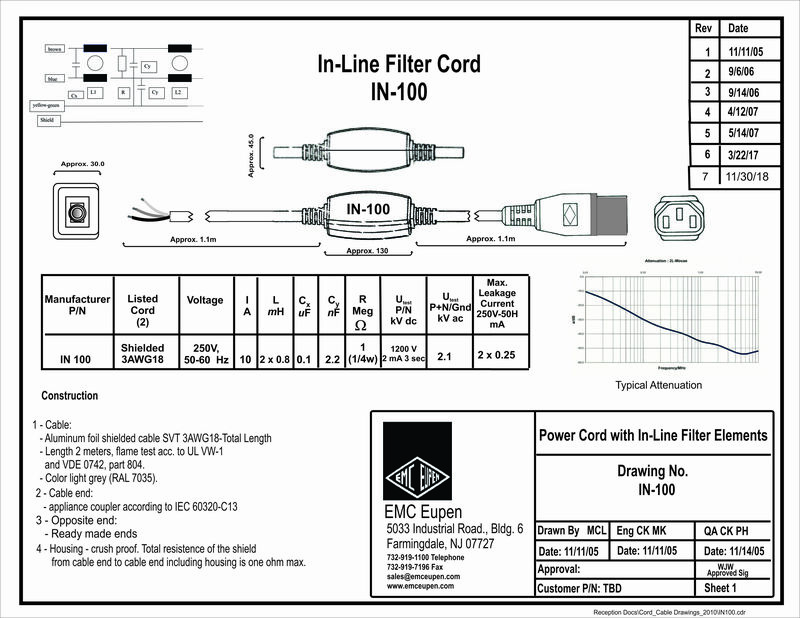 We have moved the filtering from the plug to an in-line housing, so now you can simply attach the appropriate plug from the host country to our cord, eliminating the necessity for stocking different style cord sets. 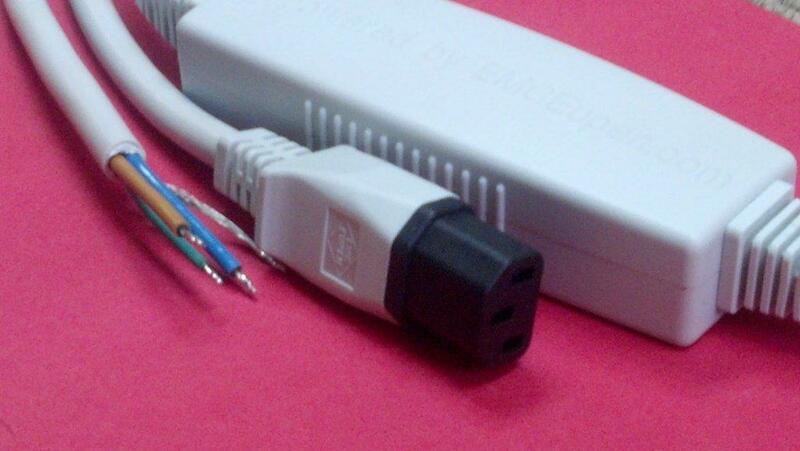 * We will also offer our universal power cords with your plug of choice.